Modular Evolution is designed for the professional blind user in their workplace. Adapted for your needs, Modular Evolution offers the perfect combination for you. The Braille display unit of the Modular Evolution is available with 88 or 64 Braille cells. This Modular Braille display is the first one to use the revolutionary Active Tactile Control (ATC) technology. ATC opens blind users new and more efficient ways to use a PC. The Modular Braille display offers three additional USB ports. This allows you to directly connect a printer or scanner. With the 4 GB internal memory, all the applications and data are always available to you. 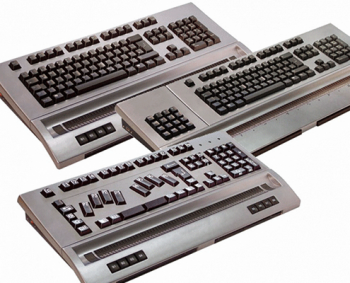 The Modular Keyboard of the Modular Evolution is a complete PC keyboard which can be clipped onto the Braille display unit. 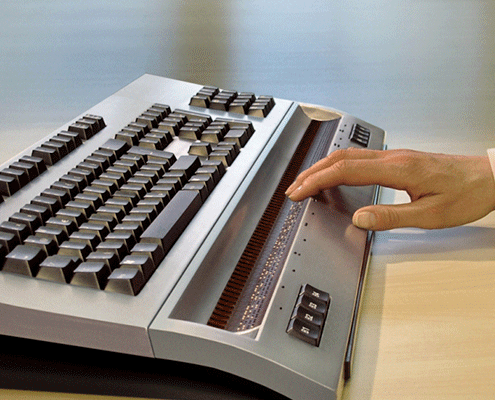 The keyboard has tactile markings for blind users. The keys are labelled with high contrast (white on black) and can therefore be easily read by partially sighted users. With the Modular Braille Keyboard you can enter text in Braille. It also offers complete control of the PC. In addition to the 8 ergonomic Braille entry keys (P1 – P8), the Modular Braille keyboard has a number pad as well as control and function keys. 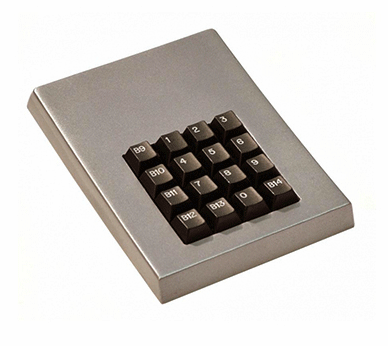 When clipped on to the Modular Evolution, the number pad offers additional functions. The 16 keys of the Modular number pad can be individually assigned. For example, as a telephone operator, you can use the number pad directly for dialling or switchboard functions. All components of the Modular Evolution can be clipped on to the Modular Braille display without the need for any annoying cables. When attached, the components have an electrically and mechanically stable connection. With just one cable the whole system of the Modular Evolution is connected to the PC via USB. There is no need to have cables all over your desk. Ergonomic designThe patent pending Active Tactile Control (ATC) enables you to control the PC directly with your reading position on the Braille display. This opens up a whole new world of controlling a PC for blind and visually impaired users. With the help of ATC for example, words or letters can be announced by the speech output. ATC even recognizes when the current line has been read completely and automatically scrolls to the next line without the need of pressing the reading keys. ATC is able to detect the reading position reliably even if several fingers are on the Braille display. For professional use of a PC, ATC offers several helpful functions, the so-called assistance functions. Automatic Scrolling: When you have read the text on the Braille display completely, ATC automatically scrolls to the next position. Speed Reading: A word is spoken when touching the first letter. Read the Whole Line: The line will be read completely triggered by a touch on the Braille display. Spelling when Reading Backwards: When reading a Braille character twice, it will be announced. Reading Single Characters: The letter at the reading position will be either announced immediately or with delay. Read Word at the End: When the word has been read completely, it will be announced. This function is especially handy when learning a foreign language. Analysing the Reading Behaviour: ATC allows you to monitor the handling of the Modular Evolution. Analyzing the reading behaviour is especially helpful for the teaching environment while learning Braille. ATC Settings: The various ATC options can be adjusted to your individual needs by using the settings menu. Modular Evolution can display different information on the screen shown as windows onto different areas on the Braille display, the so-called Braille frames. The detection of the exact reading position by ATC creates completely new possibilities to interact with a computer. Now blind users can access different application in parallel. The window is chosen in accordance to the reading position. If, for example the folder list of the windows explorer is displayed on the left side, and on the right side the corresponding file list is shown, the blind user can then navigate intuitively through the folders directly while reading the folder list. If the file list is read on the Braille display, the Braille display is navigated directly within the file list. Both Braille frames on the Braille display can be used like independent Braille displays. Only the Handy Tech Braille cells have the concave and sloped down shape. The tactile surface matches perfectly the finger tip when reading. The Braille output of the Modular Evolution can be read with a natural and relaxed hand position which is especially important for power users. 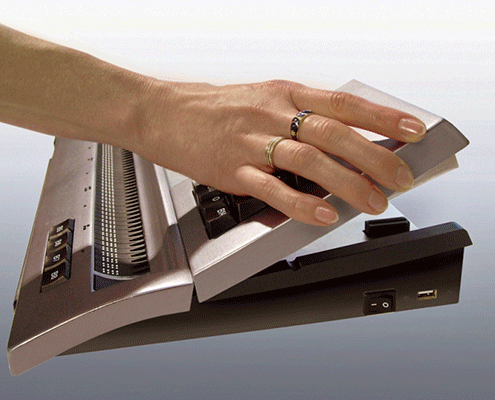 The cursor routing keys are integrated into the tactile surface, aiding with orientation. The up and down keys are placed where you need them when reading Braille.